Speakers include: Emily Doucet (Toronto), Maria Loh (Hunter), John Harwood (Toronto), Jessica Horton (Delaware), Matthew Hunter (McGill), Amy Knight Powell (UC Irvine), Lynda Nead (Birkbeck), Nicholas Robbins (Yale), Richard Taws (UCL), Alison Syme (Toronto), Chitra Ramalingam (Yale Center for British Art), and Jennifer Tucker (Wesleyan). 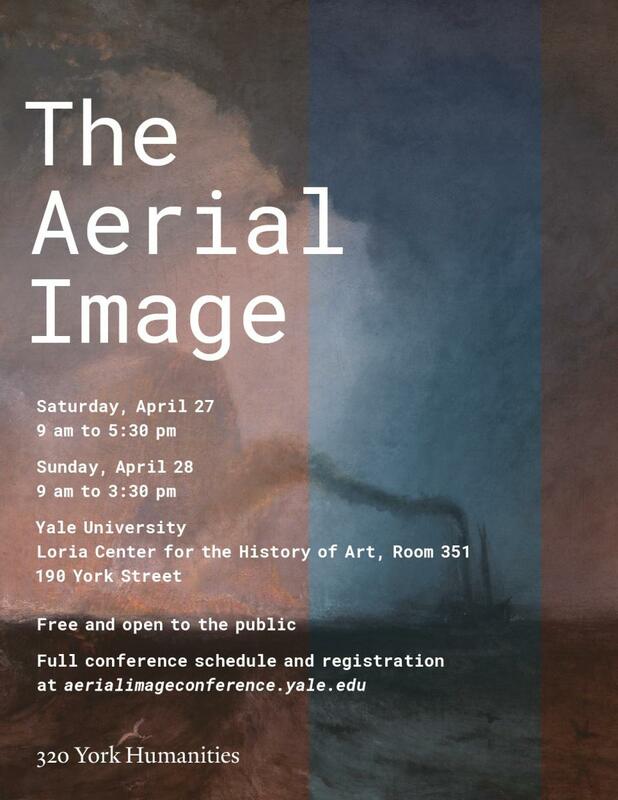 For full conference schedule and free registration, please visit https://aerialimageconference.yale.edu/. This conference has been generously sponsored by Yale Environmental Humanities, the Edward J. and Dorothy Clarky Kempf Memorial Fund, the Department of the History of Art, the Yale Center for British Art, and the Program in History of Science and Medicine.